The StorQuest Self Storage family is pleased to join the community of Williston, North Dakota! Our business is built around extending our customers a better moving and storage experience than they’ve ever had before. Our friendly, professional staff is available seven days a week, 365 days a year to answer questions, offer advice, and help plan your move. We even offer 24-hour gate access for your added convenience. Once you’ve entered our well-lit and fully fenced facility, you’ll enjoy peace of mind knowing that your valuables are fully protected. With gate access 24/7, customers simply type their unique passcode to enter and exit the storage facility through the automated doors and gates. Because we care about saving you time and energy, our facility also offers UHaul truck rentals and a truck and driver program. We offer an inclusive storage experience that is as efficient as it is convenient. We also offer competitive pricing, as well as special discounts. Whether you're looking for short-term, month-to-month storage options or something long-term, we have a great deal that’s sure to fit your budget. We look forward to supporting your move with dollies and moving carts, as well as a wide selection of moving and packing supplies such as tape, bubble wrap, boxes and more. We’ll even accept storage deliveries on your behalf. 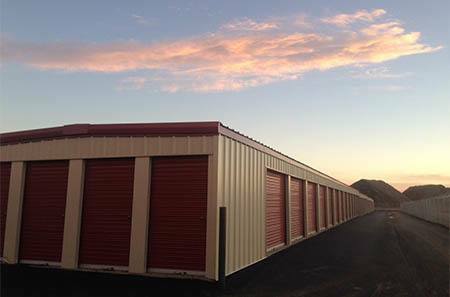 Reserve a unit today or contact us to learn more about our self storage options at Williston’s StorQuest Self Storage.